Download our Buyer's Guide - Outlining the top features to look for when considering a communication headset. When doing a search for “communications headsets” you can end up with thousands of results and not enough information to understand the difference between each product and brand, or even how to make an informed decision. 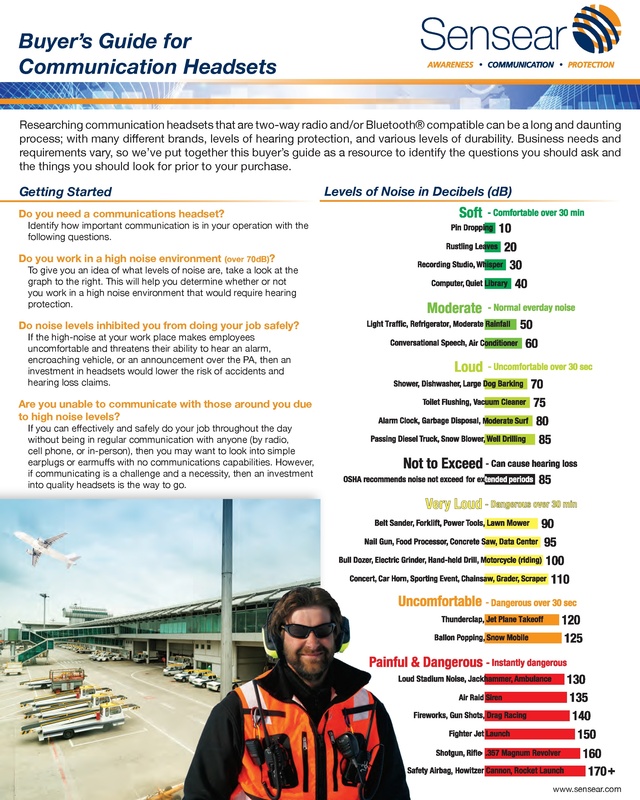 Everyone has different needs and requirements, we understand that, so we’ve put together this buyer’s guide to help you identify the questions you should ask and the things you should look for when buying industrial communication headsets. Fill out the form at the right to get your free download!